Well, we’re already staring down the barrel of what is forecast to be one miserably precipitous winter here in Vancouver, and it might be time to start thinking about trading the sports cars and cabriolets in for slightly more appropriate transportation. 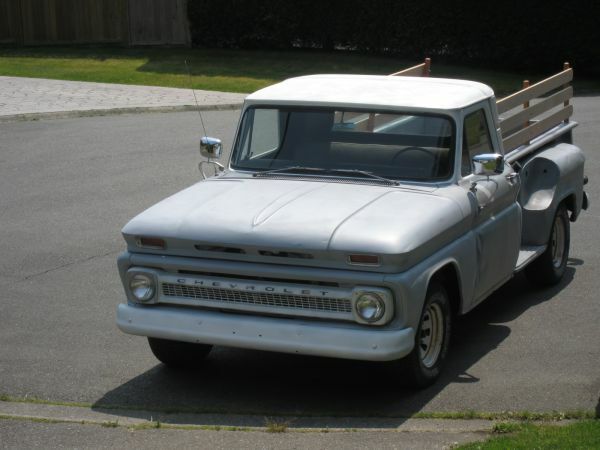 And what could be more appropriate than an old pickup truck like this 1960 Fargo. A brand that’s predominantly Canadian in both market scope and manufacture, the Fargo brand gave Canadian Chrysler-Plymouth dealers a viable entry into the truck market at a time when Chrysler’s Canadian structure forced dealers to divide themselves up between Chrysler-Plymouth and DeSoto-Dodge dealers. And although the new trucks could have easily been painted with the broad brush of the Dodge truck line, Chrysler Canada preferred to give non-Dodge dealers their own brand of truck, rather than muddy the waters by making Dodge trucks available at all dealers while restricting Dodge cars to DeSoto-Dodge dealers. So, suffice it to say that Fargo trucks aren’t exactly common, and ones of this particular era are even less so. Whilst earlier and later examples can be stumbled upon with (actually) surprising frequency, this particular era marked a low point in Fargo sales due in large part to the brand’s somewhat awkward, almost afterthought-like image. 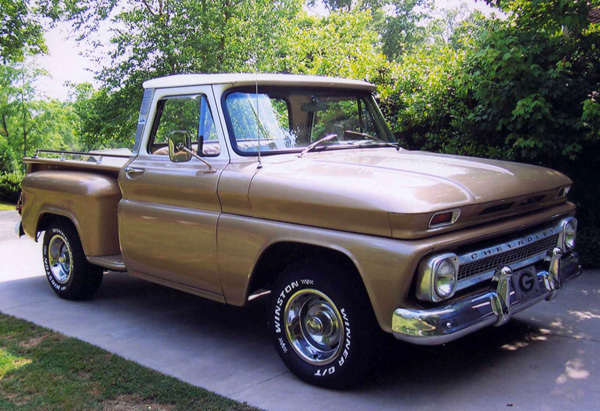 However, that image certainly doesn’t diminish from the trucks’ ability, and this 1960 is a prime example of that. Looking pretty decent indeed underneath a surprisingly committed coat of primer grey, this truck boasts no shortage of recently rebuilt parts ranging from the transmission to the engine to the starter motor; all boons on a truck running on some pretty hard-to-find parts. As a daily driver that appears to have a GVWR of over 5,000 kilograms (hereby exempting it from that cash grab otherwise known as AirCare), it’s expected to be in good shape overall, and would make for a great do-it-all classic for someone that needs a workable, practical vehicle but has a better appreciation for automotive history than a modern truck requires. If you prowl the local classifieds, you know there are few things that can increase your heart rate like a misclassified advertisement. All the cliché optimistic hopes automatically leap to the fore; “maybe it’s someone that doesn’t know what they have,” or “maybe it’s just been passed down and they want it gone.” Then again, maybe that’s just me. In any case, it doesn’t make finding this 1958 Willys pickup while perusing the old motorcycles section on Craigslist any less exciting. Although known primarily for designing the vehicle that would bring democracy to the world (and birth the Jeep brand), the Willys Jeep Truck, as the vehicle was formally known, demonstrated that the brand’s 4×4 engineering prowess wasn’t limited to the world of diminutive military runabouts. Being a 1958 model , this truck is one of the later 6-226 models, denoting the fitment of the six-cylinder, 226-cubic inch “Super Hurricane” engine that replaced the previously used four cylinder. A full 1-ton pickup, they were renowned and respected for their durability and build quality, but were eventually replaced by the much more tractable Gladiator. Although appealing to a much wider audience with its modern amenities and styling, farmers and other blue-collar sorts refused to trade their tough-as-nails Willys Jeep Trucks in for the newer Gladiator, and as a result, solid examples of the hard-working (and worked hard) trucks are very difficult to find. But this particular one doesn’t look too bad; especially for the price. Although not one of the most desirable vehicles Willys produced (that honour would probably be given to the early flat-fender Jeeps, specifically those with European stamps in their passports), they provide the would-be classic car buyer with a vehicle that combines uniqueness, practicality, and approachability in about equal measure. Uniqueness because they remain relatively uncommon, and still stand out at car shows amongst the throngs of ’50s Chevys and Fords, practicality because they can still be expected to fulfill many of the tasks that would befall any modern pickup truck, from towing to commuting to hauling scrap, and approachability because a strong enthusiast community drives a thriving parts market that ensures a Willys owner won’t be left wanting for nearly anything. Which might be a good thing, given this particular one is billed as a project, and looks like it’s earned more than its keep in the 53 years since it’s creation!